employees is critical to your success. 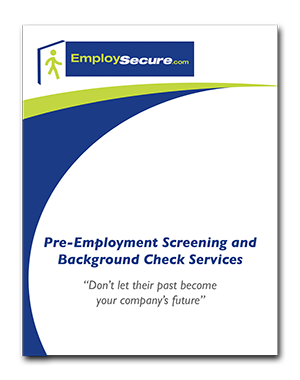 EmploySecure.com is a Nationwide pre-employment and background screening service for your small business or Fortune 100 companies. We help you in making safe hiring decisions very fast. 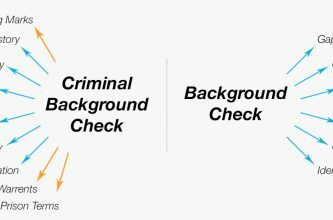 The county criminal records search for Felony and misdemeanor convictions. 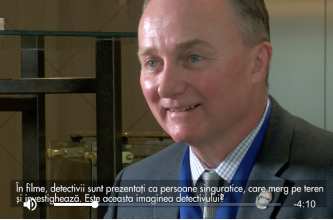 This is the most accurate search because it is done by hand in the court houses by our nationwide network of experienced court researches. The Federal Criminal search retrieves court case information directly from the Federal District Court system. The United States has two court systems consisting of the state and federal systems. Federal Court System. Motor Vehicle Records reports the applicants statewide driving record. The information comes directly from the state’s Department of Motor Vehicles. This is a great search. The Address to Criminal search identifies all the counties the applicant’s has lived in for the past 7 years (via a credit header from Trans Union). The Education Verification is designed to verify the applicant’s educational degrees and enrollment. The verification can be conduct any Universities. 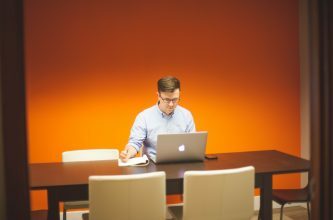 EmploySecure.com offers 5 panel, 10 panel and 12 panel urine drug testing. Specimen collection locations are available nationwide through Quest Diagnostics or LabCorp facilities. The Statewide Criminal searches the state’s repository of criminal records. Some states require special release. Turn around time and information provided varies from state to state. This is the same search as the Nationwide Criminal Search but is configured to an individual state. This search checks credit history of the candidate and is a must for pre-employment and tenant screening as it will demonstrate the subject’s level of responsibility. This search is designed to protect the employers against potential fraudulent employees. This search checks the candidates compensation settlement records in a state. Not all states are available. This should be the first search in any pre employment check. The search identifies previous address, names and alias. Pre-employment Screening; Résumés Can Be Faked.